1 bedroom, 1 bathroom, European kitchen, lounge, garden view. 2 air cons, 2 ceiling fans, dimmer switches. Facilities include 24 hour security, swimming pool, and shop. 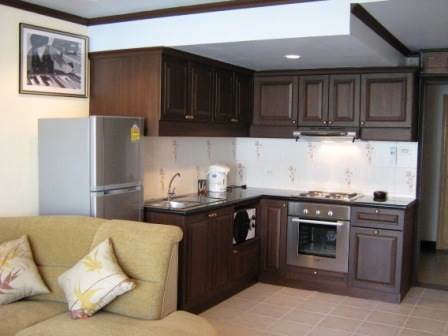 For sale at 2.25 million or rent at 18,000 Baht per month. Foreign ownership. Our reference JTC1033.